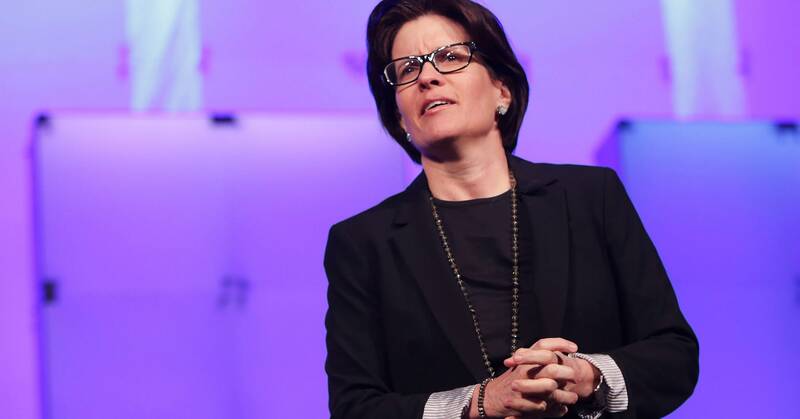 On Tuesday afternoon, New York Times technology columnist and Recode editor-at-large Kara Swisher interviewed Twitter CEO Jack Dorsey—on Twitter, in what Swisher called a “live chat.” She peppered Dorsey with hard questions about why the platform is still so full of abuse and pushed for specific examples of how Dorsey has improved the “health” of conversations on Twitter. Because of the format of the interview—a series of tweets and replies—the details of the conversation were almost impossible to follow. But one thing was crystal clear: Twitter still needs an Edit button. Things got off to a rocky start right away, when Swisher’s first tweet included a typo. “You know my jam these days is tech responsibility. What grade do you gave Silicon Valley? Yourself? #KaraJack,” she tweeted. Twitter users have been asking for an Edit button for years. Back in 2013, former WIRED writer Mat Honan cited this as the feature Twitter most needed. Since then, article after article has been written about why Twitter needs editing. Possibly the single most common tweet sent to @jack himself is some variation of “give us our Edit button.” Over the years, he has teased doing so, while cautioning that this could change the historical-record nature of Twitter. Last week, on Joe Rogan’s podcast, Dorsey said the team is considering a function that would preserve the original tweet for posterity but display edited text (which sounds like how editing works on Facebook, for the most part). Was Dorsey using “action” as a verb (inspired, perhaps, by Jeff Bezos’ “complexifying” of the English language in last week’s Medium post)? Or did he forgot a word? Maybe he meant to type “We take action all we can against our policies.” Before he could clarify, the conversation had moved on. Complicating the conversation even further, Swisher and Dorsey tried to organize their dialog with a hashtag, but not all of the tweets included it. Even when they remembered, the thread of the conversation was hard to follow. Depending on which tweet you saw or clicked on first, you might get different aspects of the conversation. At one point, Swisher started a new thread while Dorsey continued to reply to the old one. People trying to follow along called out Dorsey, making fun of him for not knowing how to use his own site. In fairness, Twitter wasn’t set up to be used like this; it’s probably not the best platform for a live interview. Not, at least, without some substantial design changes. Twitter’s threads can make it easier to have these kinds of back-and-forth conversations. WIRED writers Paris Martineau and Louise Matsakis did something similar when they wrote a coordinated thread to tweet out their story about Facebook’s empire earlier this month. Theirs used Twitter threading to present their detailed reporting in an accessible way, in a dialog that was easy to follow. But it required premeditation and choreography. And it didn’t leave room for spontaneous answers. Swisher and Dorsey’s chat happened live. And the conversation wasn’t actually in a Twitter thread—Swisher and Dorsey were replying back and forth and sometimes tweeting past each other and thus breaking up the link between tweets. When one user desperately asked the ThreadReaderApp bot to unroll the thread, it replied that it couldn’t help at all. A few people following along live got so frustrated they tweeted in reply that they’d just wait until tomorrow when The New York Times summarized the interview in an article. One Twitter user added Swisher and Dorsey to a public Twitter list, confining their tweets to a single timeline, which made it slightly easier to follow. Just don’t forget the Edit button, @jack.